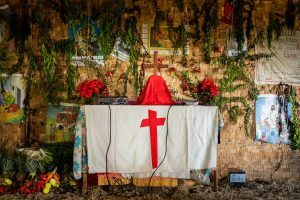 The Lutheran Church—Missouri Synod began work in Haiti in 1978 when LCMS mission societies began assisting Lutherans in Haiti. In 1987, the LCMS began supporting mercy work in Haiti with a grant that aided a children’s feeding project. Since then, grants have assisted in funding schools and children’s programs, health care and food assistance efforts, livestock and irrigation projects, literacy and job skills training, and disaster response. 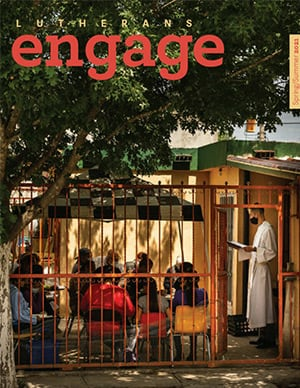 From 2001-2004, the LCMS and the Haiti Lutheran Coordinating Committee sent a long-term missionary to coordinate LCMS projects in Haiti and help short-term U.S. mission teams. The LCMS continues to support the partner church with general aid for its programs and with special support for theological education projects. In Jan. 2010, a 7.0-magnitude earthquake struck Haiti. More than 200,000 people lost their lives and damages were widespread. The LCMS, the Dominican Republic Lutheran Mission and dozens of other Lutheran organizations provided food, water, tents, medical supplies, hygiene items and spiritual support to the Evangelical Lutheran Church of Haiti (ELCH) and Lutheran Church of Haiti (LCH). Through “Building Homes and Hope in Haiti” (BHHH), the partnership project between the LCMS and the ELCH, about 75 Haitian families are living or are in the process of settling into their own permanent homes in three Lutheran Villages in Jacmel, Beaudouin and Leogane. Another 150 families reside in prefabricated homes until permanent housing is built. The LCMS granted funds to Trinity/HOPE of Lebanon, Tenn., to assist with food programs for Christian schools in Haiti, pay for salaries of a project manager and volunteer coordinator, provide support to orphanages, respond to cholera outbreaks, pay for heavy equipment used to remove debris and purchase materials for new homes. 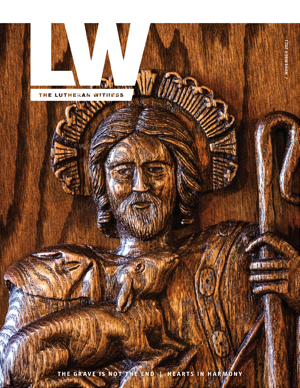 At the LCMS Convention in 2001, delegates voted unanimously to “formalize altar and pulpit fellowship” with the Evangelical Lutheran Church of Haiti (ELCH) — making it a sister/partner church. In addition to earthquake relief, the ELCH continues its focus on evangelism, church planting, leadership training, church building, education, radio and TV ministry, health care and agriculture. It operates one seminary. As the country of Venezuela contends with supply shortages and unrest, the LCMS is trying to help.